Michael Lee Johnson, 67, of Melbourne, died Thursday, October 4, 2012. Faith Ann Jubinville, 51, passed away Wednesday, October 3, 2012 at William Childs Hospice House. She was born in Leesburg, Florida on June 13, 1961 to Leroy Clark and Linda Pla. Faith is survived by her loving husband Robert (Bob), step-son, Jeremy Jubinville (Kristina Palmieri); mother Linda Pla (beloved stepfather Jay Pla, deceased); sister Cindy (Keith) Brooker; brother Tim (Stormy) Clark; nieces Kelsey and Lauren Brooker; nephews Jeremy, Zachery and Bryce Clark; and her beloved dachshunds Max and Kobi. A Celebration of Life will be held at the Church at Viera on Saturday, October 6th at 11:00. Anyone wishing to share a memory, send the family a message or make a donation is asked to please visit Faith's guestbook at www.beachfuneralhome.com. Andre L Myers, Jr., 17, of Satellite Beach, died Sunday, September 30, 2012. Lena Juliette Van Meter, 98 years young ,of Indian Harbour Beach, went to be with her late husband, Hubert on Thursday, October 4, 2012. 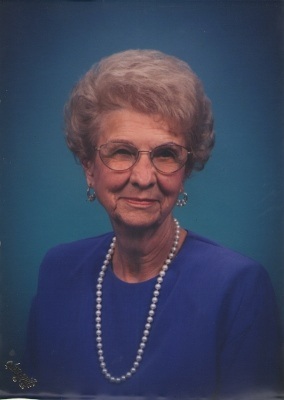 She was a faithful charter member of the First Baptist Church of Indialantic, where she taught Sunday school. Along with her family, she was co-owner of 7 Juliette's Hallmark Stores since 1969. Lena is much loved by her surviving family, sons, Bruce (Jeanne) and Ron (Susie) Van Meter, 5 grandchildren and 9 great-grandchildren. 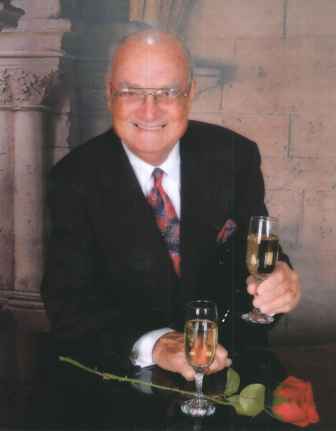 Family will receive friends on Monday, October 8, 2012 from 6-8 P.M. at Beach Funeral Home, Indian Harbour Beach. A celebration of Lena's life will be held at 11:00 A.M. on Tuesday, October 9, 2012 at the First Baptist Church of Indialantic. Burial will follow at Florida Memorial Gardens, Rockledge at 1:00 P.M.
Lena's memorial page may be visited at www.beachfuneralhome.com. After 50 years of joyous marriage, Stanley R. Zepp died at home on October 4, 2012, surrounded by his wife and children. He was born in Apopka, Florida in 1933. He is survived by his wife Mary, his children Richard (Audra) Zepp, Mary (Tom) Hale, Patricia (Marvin) Nevitt, Kathleen (John) Struckman and Alice (Matthew) King, and by his sister, June Latrimurti. He was preceded in death by a granddaughter, Ashley, and leaves behind nine other grandchildren: Kathleen, Casey, Elizabeth, Matthew, Hannah, Victoria, Leah, John and James. Stan started his career at an early age when he earned his Ham Radio license as a teen. He entered the Air Force in 1953, serving as an Instrument Mechanic. He earned his Bachelor’s degree in Electrical Engineering in 1961 at the University of Florida, and his Master’s degree in 1963 at NYU. He married the love of his life, Mary Farrell, in June 1962. He retired from Harris Semiconductor as a Senior Scientist after 21 years, during which time he earned two patents. Stan was never was one to talk about himself or his accomplishments. He was a humble, unassuming and generous soul, a devoted husband, and loving father. Calling hours will be Friday, October 5, from 5 to 8 pm, at Brownlie-Maxwell Funeral Home. A funeral mass will be celebrated on Saturday, October 6, at 10 AM, at St. Joseph’s Catholic Church on Miller Street. In lieu of flowers, donations may be made to Our Lady of Lourdes School.